Some time ago, during the middle of the last century, France was recovering from hard fighting that had shaken the country to its core. It was getting back on its feet, turning over a new leaf and rebuilding itself. Some were enticed by the call of the sea, adventure and the beyond… People like my parents. They came to settle here, in Mogador. In 1946, under a contract with Société Fougerolles (Grands Travaux de Versailles) (Major Works of Versailles), my father participated in constructing the Bin el Ouidane dam. 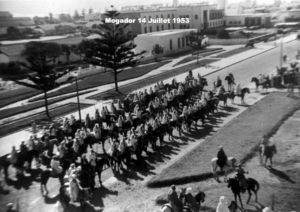 In 1949… he fell in love with Mogador. 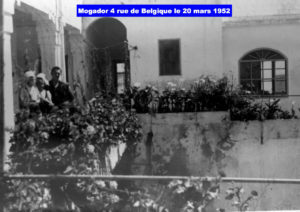 Post-haste, he purchased the home located near the port, on Rue de Belgique (Belgium Street), which housed the eponymous consulate’s quarters. The building occupying two-thirds of the street was called “L.U.C.IA.,” an acronym for L’Union Commerciale Indochinoise et Africaine (Indochina and African Commercial Union). 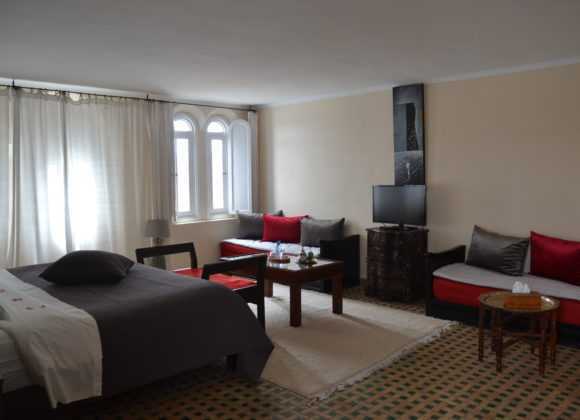 It bears mentioning that Mogador was one of the most important ports in Morocco at the time. 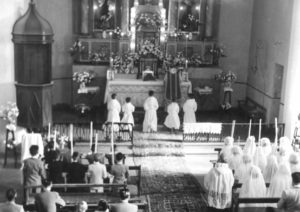 In 1949, our family was already a crowd. I, Yves Pélissier, the youngest in the family, had yet to be born… My arrival was scheduled for 1952. When I came to this world, I already had two brothers and two sisters… Quite a tribe! The next year led to a departure…our departure from Essaouira. 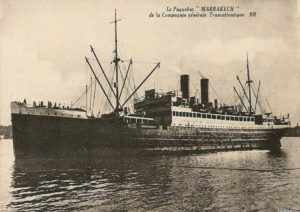 My father left his company to take a position in Agadir at Défense des Végétaux (D.V.) (Plant Health) where he participated in controlling locust plagues! 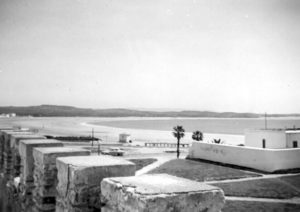 He remained at this post in Agadir for two years. The entire family returned to France in July of 1955. My father assumed his position as Manager of S.M.A.C. (Société des Mines et Asphalte du Centre) (Centre Mining and Asphalt Company) in Bordeaux… A new life was beginning! “L.U.C.I.A.” was left abandoned for several years… It wasn’t until the 1960s that teachers abroad occupied the home, Mr and Mrs Chavot. They left a mark on the people, teaching several different Essaouiran students, who still remember them… When they had to leave Essaouira (in 1977), the house was once again abandoned…then squatted! After several years of legal procedures, finally, in April 1995, we regained possession of “L.U.C.I.A.”! With very limited resources, work began August 7, 2000, on my father’s birthday. Renovations finally ended in December 2004! Four years of hard work, blood, sweat and tears. But ironclad faith kept me steadfast in my resolve throughout. 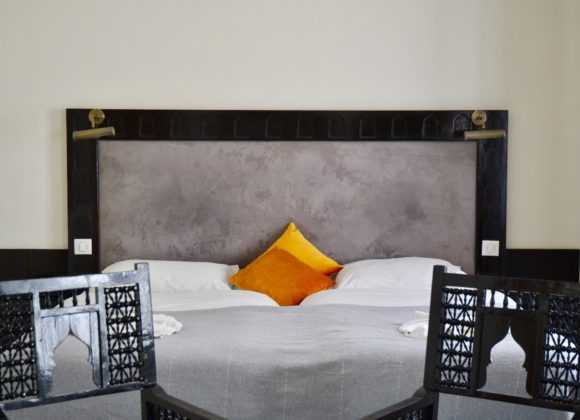 January 1, 2005, a New Year’s celebration took place at “Dar L’Oussia,” with a select, cosmopolitan group of people including a diverse blend of nationalities: French, Spanish, Moroccan, Catalan, Senegalese and Japanese… Ten hotel rooms were already available. For Dar L’Oussia, it was a new beginning. 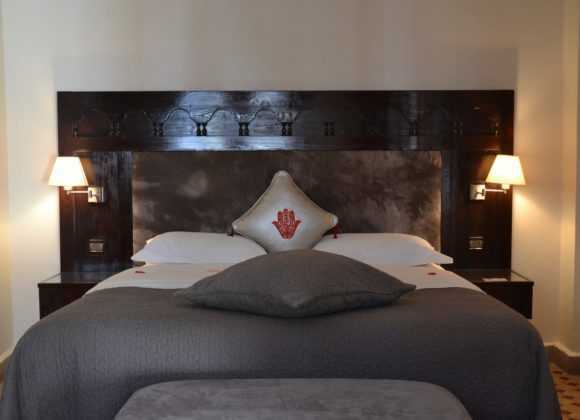 I christened the hotel with its name in memory of L.U.C.I.A…. from past times… My dream had become reality! It’s such a beautiful tale, don’t you think ?